Discussing politics and finance on the 9th of Av seems apropos. Let’s start with a definition of ‘capital formation’. Generally speaking, socialists like Hillary Clinton and Bernie Sanders are ignorant of economics and ignorant of history. The law increased personal income tax rate on the wealthiest of our fellow Americans to 75%. The Great Depression started October 29, 1929 AD. Pushing ahead to 1935, we were drowning in debt. 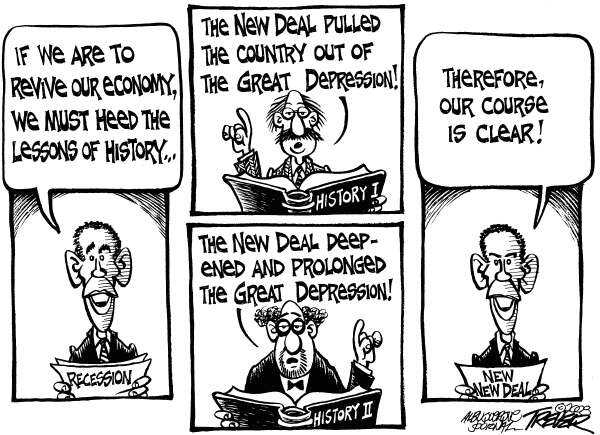 FDR, it is said, took a recession and converted it into a prolonged depression. Roosevelt’s New Deal was an expansion of federal government eclipsed only by enactment of the Patient Protection and Affordable Care Act (aka ObamaCare). Capital is the means by which an economy increases its capacity for production. Increasing production entails hiring workers, paying taxes, exporting goods and services, etc. Robbing investors – capitalists – of earnings through excessive taxes leaves any economy unable to expand to meet the needs of an ever growing population. Some among us promote “Fair Tax” and “Flat Tax”. Others promote “No Tax”. Well, too late for the latter. It appears to this writer popular sentiments are today as they were in 1935 as minimally skilled workers demand higher pay beyond the market value of their services and socialists like Hillary Clinton and Bernie Sanders promote even higher taxes. God set in place a 50-year economic cycle that will repeat itself, regardless the party in power. Bad news is we have to go through another depression. Good news is we will probably come out the other side ready to start the next 50-year cycle. Previous Post What Cost NY Minimum Wage “Kool-Aid”? $15/hour | A Milton Friedman Moment for Me. And You.